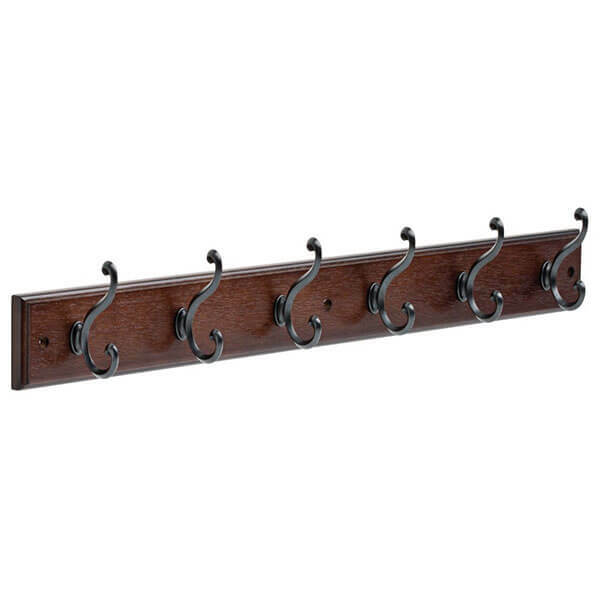 Ideal for any traditional or rustic home, the Liberty Wall Mounted Coat Hook Rack is a wall-mounted coat rack available in a cocoa wood finish. It has six iron hooks and is able to support up to 35 pounds at a time if installed on solid wood or wall studs. It is ideal for any outwear you may have. 35 lb. maximum weight capacity when mounted into solid wood or wood studs. Made of zinc die cast for long lasting quality. 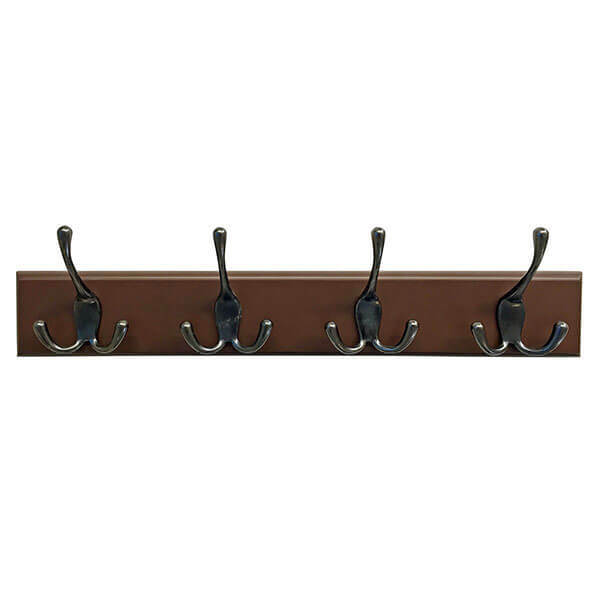 With its shining metallic design, the Liberty 5-Hook Coat Rack is a coat rack that is able to fit in any sort of space, whether modern or traditional. It is made out of long lasting zinc die cast and features five hooks that sit out 3.5 inches from the base. 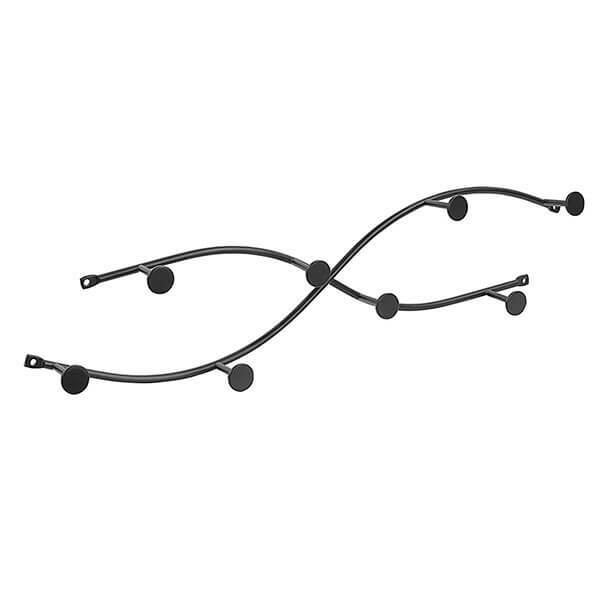 The LANGRIA Wall Mounted Coat Hook Rack is a traditional style coat rack that features a storage space at the top. Five metal hooks hang from the base, able to hold a total of 33 pounds of weight at a time. It has a water-resistant coating applied to its surface. 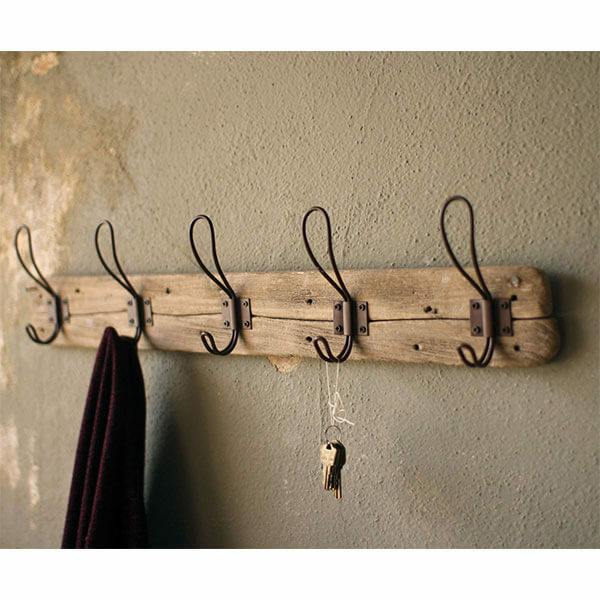 The Kalalou Rustic Style 5 Hook Wall Mounted Wooden Coat Rack is an intentionally worn and distressed coat hanger ideal for any rustic setting. This coat rack features five rustic wire hooks on a wooden base that measures 26 inches in length by 5.5 inches in height. With a modern design, the Spectrum Diversified Double 8-Hook Coat Rack is just as much a piece of decor as it is an organizational tool. 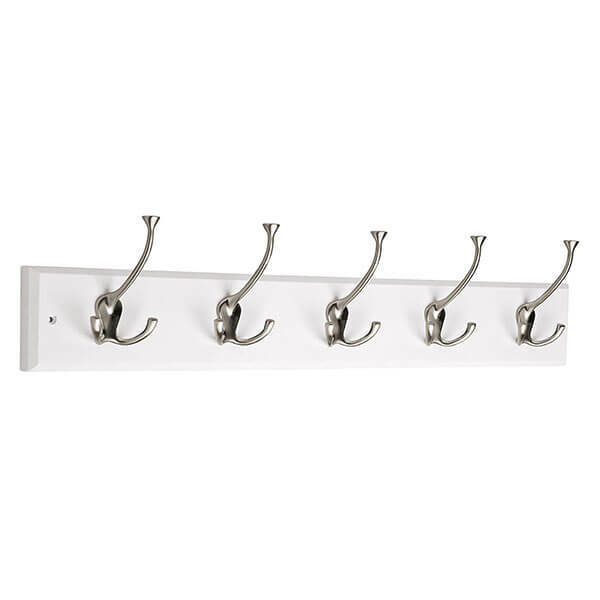 It comes with two rows consisting of four hooks and is made out of durable steel. This coat rack measures 22 inches in width. 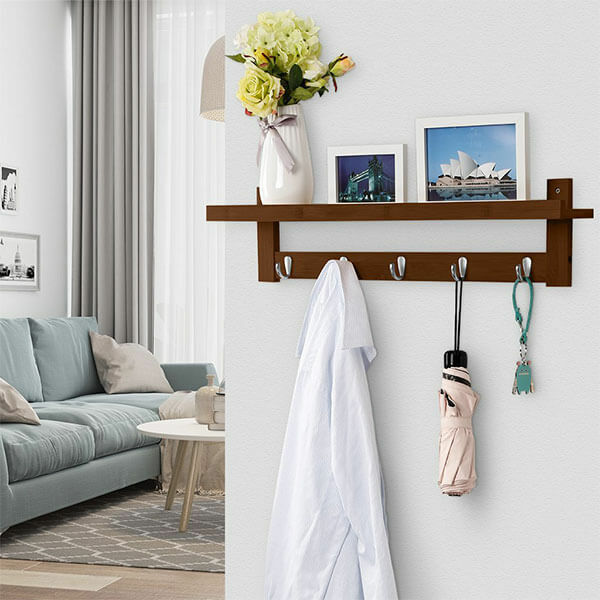 Traditional and sophisticated, the Headbourne Wall Mounted Coat Rack with 4 Chrome Triple Hooks is a heavy duty coat rack designed to offer you simplistic storage at the entryway. This coat rack features four traditional, chrome triple-prong hooks, doubled up to provide you with 12 hanging points.